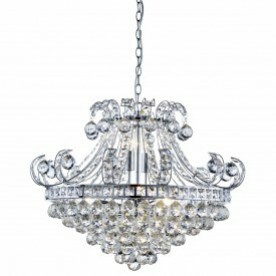 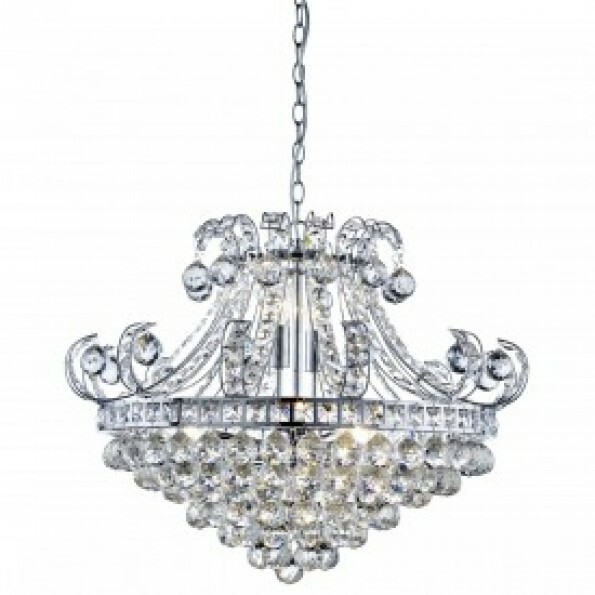 The Bloomsbury chrome 6 light chandelier with clear crystal buttons and drops is unmistakably elegant and stylish. 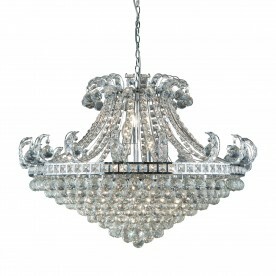 The chrome finish circular frame has a twisted design, dressed with suspended crystal drops and an opulent crystal arrangement below. Although the design is highly traditional, the chrome finish lends the chandelier a modern touch and the six lamps will refract the light beautifully in any bedroom, living room or dining area.